Dr. Sedaghat offers a range of back pain treatment options at Pacific Pain Clinic in Irvine, California. He customizes pain treatment programs to meet the needs of each individual patient. Pacific Pain Clinic serves patients throughout Orange County, from cities such as Santa Ana, Costa Mesa, Huntington Beach and Newport Beach. Back pain can develop for a number of different reasons. In some cases, a patient may experience back pain because of an acute injury, such as a strain. Chronic back pain may occur because of a bulging or ruptured disk, arthritis in the back, or osteoporosis. Some patients also experience back pain because of a problem with the skeletal structure of the back, such as a curvature of the spine. A variety of treatment options are available to patients dealing with back pain. Some of the most conservative treatments for this condition are deep tissue massage and physical therapy. Some patients may also benefit from taking medications on a regular or as-needed basis. If conservative therapy doesn't alleviate the symptoms of back pain, more advanced treatment options may be beneficial. Some of the most common non-surgical treatments prescribed for back pain include trigger point injections and epidural injections. How Effective Is Back Pain Treatment? The effectiveness of back pain treatment varies considerably. Every patient is different, and the effectiveness of the treatment will depend heavily on the patient's individual condition. Some conditions, such as a mild acute injury, are more likely to respond to treatment than conditions that are more serious or chronic. In addition, different types of treatment will produce different results. For example, while more conservative treatments may be effective over time, more advanced treatments produce more dramatic results in a shorter period of time. What Back Pain Treatment Is Best? Because every patient's condition is different, there is no "best" treatment option for all cases. 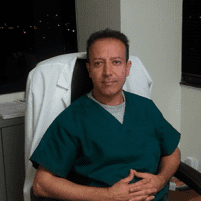 Dr. Sedaghat reviews each patient's case carefully to determine the best treatment plan for that individual. As treatment progresses, Dr. Sedaghat may make changes to the treatment plan based on the patient's response.